ends is blurry to say the least. Is the tree merely composed of the roots, branches, trunks, twigs and leaves that we singularize it to? Or also the microbes that live with it, the birds who spread its seeds, the mammals that find refuge inside of its hollowed trunk, also compose the tree, no? 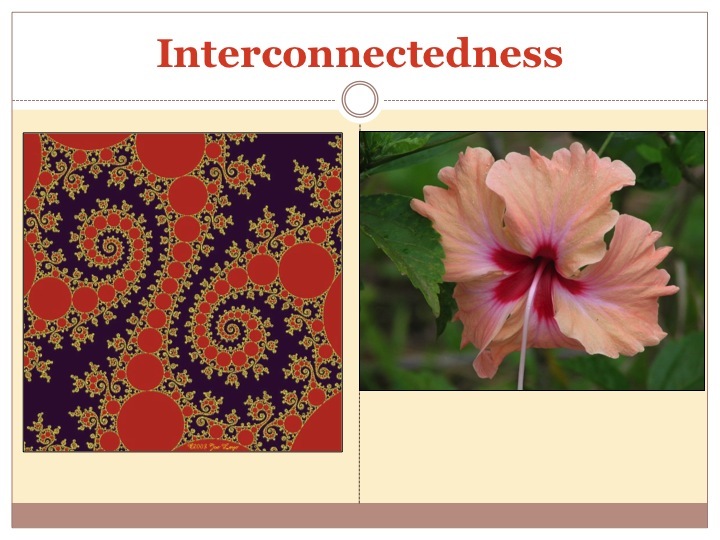 Interconnectedness reminds us to break from the rational thinking forced upon us through Cartesian Dualism and to remember that complex systems such as nature can not simply be broken down into mechanical parts. Simple mathematical equations can not tell the true story like we currently portray far too often. For example in chemical agriculture, we equate fertility with yield with the simple equation of “if we put this much fertilizer on a field of this many acres of corn, we will get x amount of yield”. Indeed that maybe true non-holistically but what is the cascading effect of fertilizer input into our water systems, the microbes, the wildlife that lived there before the monoculture, and of course human health as well. Those latter points are all variables that should have been put in the equation and our seperation from nature and holistic thinking is what lets us make these childish formaulas work. Furthermore, living interconnected with our local communities also brings us great joy and one main syndrome of capitalism is indeed the feel of exclusion. So much mental health decline is seeded through the breaking of community and the explosion of capitalism, an anti pattern, breeds incesstually through competition rather than cooperation. In the attitudinal principles of permaculture, the opposite is said and gains great traction in these times of social volatility. against the interconnectedness and the complex formula which would be exponential factors intertwined making it nearly impossible to utilize the archaic scientific model. So systems degrade or regenerate exponentially, that is the tipping point in the bell curve that we in permaculture call the keypoint. When we work with interconnected factors such as soil biology, plant biodiversity, rainwater harvesting earthworks, holistic animal grazing, systems can regenerate exponentially when climate and context appropriate strategies and techniques are employed. And when this happens, the myriad of benefits from lush biodiversity is non-measurable because the complexity of interactions goes far beyond our capacity. But we can see it, we can feel it, we can realize the regeneration of land through an interconnected model. It wont be easy at first as the bell curve is slow to tick upwards. And money alone can’t solve it and without well trained stewards and good planning and execution known as project management, the bell curve flatter part takes even longer. But if the design meets the project management plan, then the exponential forces of working with nature not against will be sure to bring abundance if those involved in the project are in harmony. how planets revolve around the sun in terms of length, there is still harmony within this solar system. Enough so that this amazing creation, the earth, has come into fruition and all of the life that has sprung henceforth. It applies to us and our success within projects, not only are we trying to orchestrate a beautiful symphony of interconnected interactions within ecology, we are also reforming how we deal with each other socially. The most complex factor within any given permaculture system will most likely be the people part with all of its intricacies. 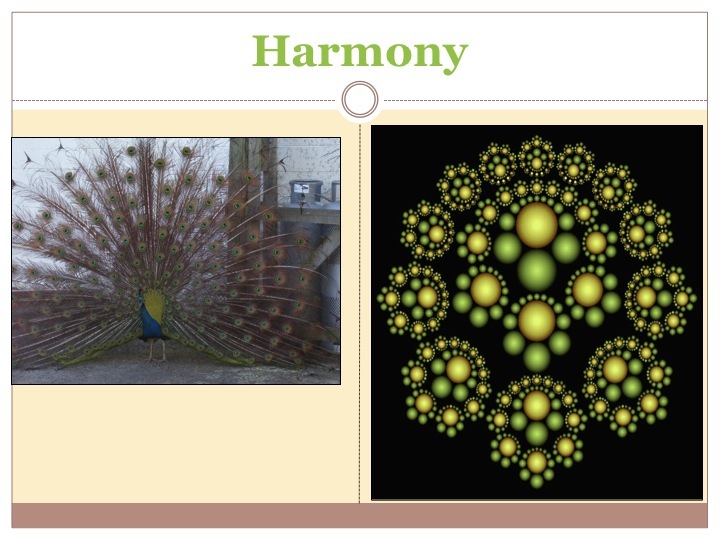 However there is the great possibility for harmony to advance, exponentially overtime, where each one of us brings a different vibe, different quality to the end goal of a just and abundant society. Each pitch of each person has the opportunity to contribute or degrade as we all go through our literal ups and downs with our vibes. But what is it that allows us to be connected to our higher self and resonate at our highest frequency possible? 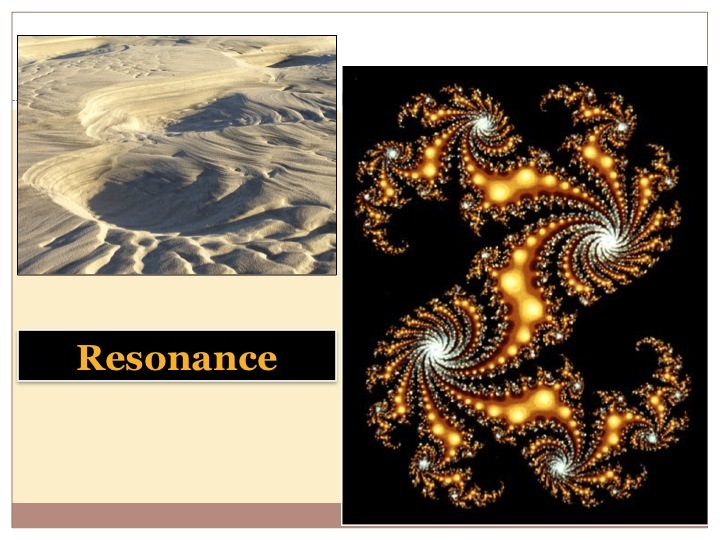 In physics, resonance is a phenomenon in which a vibrating system or external force drives another system to oscillate with greater amplitude at specific frequencies. Frequencies at which the response amplitude is a relative maximum are known as the system’s resonant frequencies or resonance frequencies. At resonant frequencies, small periodic driving forces have the ability to produce large amplitude oscillations, due to the storage of vibrational energy. in nature is resonance. Its the same with regeneration, if our soil biology is symbiotic and raging, if photosynthesis is extended, if water is being infiltrated rather than running off, then system is operating a a much greater frequency. Erosion is a leak in the system and as Looby Macnamara put it there are vast leaks of erosive energy within ourselves and the social systems around us. That is why we speak of systems management, so we can dial in the systems for peak functioning and that ripple effect, let that be energy efficiency or abundant yields. Thus abundance follows when we take on this individual journey of getting to the roots of our psyche and all that holds us prisoner to limits of happiness. What if we do communicate authentically and live up to our ethics and values. What if the ego is sequestered into a manageable part of our persona rather than the driving force behind negativity? Then we are resonating at our highest potential. And what is the ultimate frequency, what is it that allows us to operate much more of our DNA and potential; love. worthwhile to take on. If you are miserable working in a project or a garden, ask yourself where these judgements are coming from, abundance (love) or scarcity (fear). It’s a very powerful tool and the more we examine where we are coming from in our minds, the more we can see the irrational storytelling we are confronted with. How it holds us back, how it creates trauma and drama thus furthering our degradation. 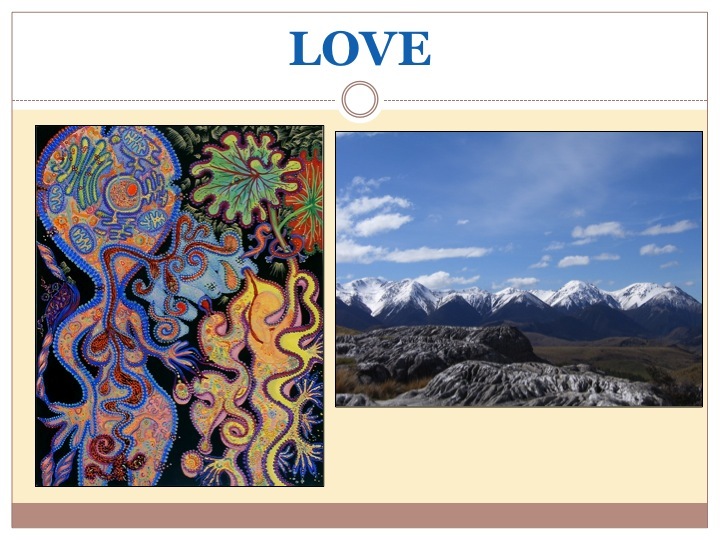 It’s our DNA that unlocks this potential just as the strands of nature when cared for, when loved and embraced as one through interconnectedness, reveal infinite beauty and abundance. The things we say, the thoughts that are replayed, the food and water we drink, it all has an effect on our physical and vibrational body. The wave pattern is everywhere and our antennae for that energy is still being explored. Dr. Phillip Callahan, the first to write to the EPA that DDT was a harmful chemical in the ecosystem, was very clear in his writings just how much potential living beings have for vibrational exchange and interpretation. Intuition must be unlocked to really reveal the underpinnings of what makes our systems go exponential (also now known as viral). It is the love that unites us in this mission of regeneration, and brings us to the principle of attitude. While some say Permaculture isn’t spiritual, at the end of the day its underpinnings in eastern philosophy shown in Mollisons attitudinal principles might speak against that. For the state of the world might just be an outer expression of humanities consciousness. As the tide is turning, as the darkness is eating itself, a great light of love is reemerging. There is a reason we are in this state and I feel its for the growth of consciousness. And grow we must, trees, soil biology, crops, community, alternative economic and political systems, and ourselves as individuals so we can create a harmonious interaction with all life kingdoms.